A successful business requires optimized technologies managing big amounts of data which are frequently assisted by OLAP in data mining technologies. And even though there are assumptions that synonym for data mining is OLAP as well as that data mining and OLAP are interrelated there’s a significant difference between the terms. In fact, data mining is more than OLAP. OLAP entails multidimensional data structure used for analysis of historical information while data mining implies exploring patterns and methods including the practice of machine learning and database systems. In this article we’re going to discuss OLAP and data mining more closely. Online analytical processing is designed for multidimensional analysis of significant business data. OLAP ensures an opportunity to perform calculations on typically small amounts of information. It provides its users with essential insights based on the data accorded by various sources and databases. The main feature of OLAP is its ability to represent data and items relations in a multidimensional structure to be displayed in the form of the cubes. This makes it possible to view data from various perspectives. Users are able to carry out holistic analysis through receiving responses to ad-hoc queries. OLAP Queries are run very fast even given large volumes of data owing to precomputed aggregations. Both OLAP and data mining give an opportunity to handle and analyze big amounts of data from numerous angles such as sales by department, by store, by country, by item, etc. In general, OLAP enables organizations to successfully perform reporting, analysis, budgeting, etc. The information obtained by this BI system commonly provides privileged information contributing to decision making. As we’ve already noted, OLAP represents all data in a multidimensional structured view which ensures multiple perspectives from which the information is available to see. OLAP cube is built primarily to be managed by any business employee and doesn’t require additional programming or analytical skills. The system is easy to deal with irrespective of the position of the user. OLAP maintains all business data in a form accessible to be conveniently visualized through OLAP dashboards. Due to the application a user can create pie charts, graphs, maps, scatter plots, spark charts etc. and make adjustments in them if necessary. OLAP application is deployed in a multi-user client or server architecture which delivers fast query responses regardless of the database complexity. Thanks to being performed by SQL, OLAP is available to all potential SQL extensions, statements, and functions. A typical SQL statement enables data mining, goal seeking, time series analysis, multidimensional data analysis, trend analysis, cost allocations, etc. OLAP application possesses a rather high-security level: if multiple users need an access right an administrator has to change the settings of accessibility. There are several purposes data mining generally serves. For instance, it assists in revealing fraud cases, and in foreseeing changes in customer churn, thus adding value to the business process. If a user exploits data mining in a native database there’s no need to transfer data between an external server and the database. In this case, there’s a higher chance to avoid data redundancy and at the same time enhance data handling. Associations: the function examines the market to find out which items are typically bought together. As it has already been mentioned, it’s useful to conduct data mining in a native database system. In addition to the above, this will ensure data hiding, split-second data caching, close connection to user-defined features, and SQL implementations in the database system. Efficient data processing is provided by multiple databases which have to be supported by the data warehouse utilized. Thereby, for example, the attribute weight is taken from the original data under the neural network method, then according to the weight specified characteristics are determined by the decision tree method. And at last, the final model is created through clustering. Statistical analysis in an OLAP multidimensional database. Data visualization through an OLAP dashboard. Aggregate queries to examine graph databases. Sub-graph histogram representation for classification of images. Independent component analysis and self-organizing maps - ICA and SOM manage data which involve gaps by assessing lacking information through the given data. Parametric and non-parametric methods of imputation develop strategies built. Multi-task learning develops pattern classification with missing inputs. 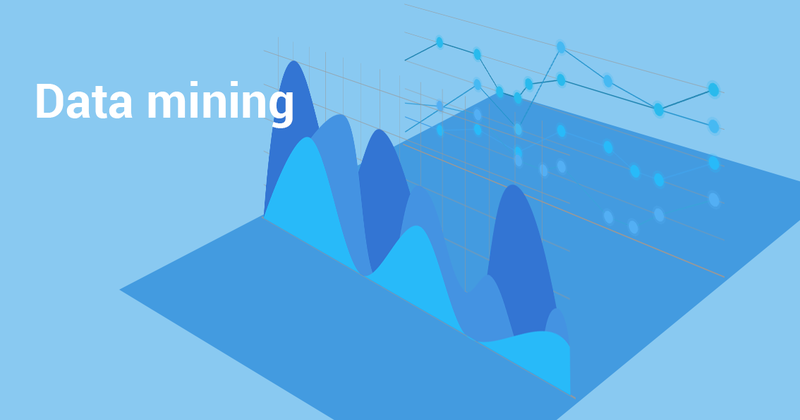 Parallel data mining application makes it easier to adopt support vector machines, tune scalable data mining, provide scalable and parallel data mining algorithms performance. After we gave definition to OLAP and data mining it’s time to discuss the relationships between them. As well as to compare olap and data mining. Both OLAP and data mining fall within business intelligence processes. OLAP compiles all meaningful historical data, sums it up and analyzes business trends providing users with average rates regarding requisite information. When it comes to data mining, its main goal is to disclose covert tendencies at a detailed data level. Data mining techniques are also up to determine the potential for desired changes based on predictive analysis available. Let’s overview correlation and difference between OLAP and data mining in tabular form. Data mining provides advanced analytics contributing to the detection of the objects which are commonly bought together. It also can identify the demographics which usually results in best sales. Such information undoubtedly assists in well-thought-out strategies of product branding, placement, and promotion. OLAP technologies ensure similar opportunities: a user is able to conduct in-depth data analysis to figure out current trends concerning demands and use the occasion to act. OLAP and data mining may reinforce each other. In case OLAP finds out general issues related to sales, for example, data mining tools can facilitate the process of analyzing more detailed information regarding particular clients. When OLAP monitors and tracks the results, data mining will predict future income and its increase based on the given data. As it is seen, operating together the systems can bring up more substantive insights. Data mining and OLAP may operate separately. 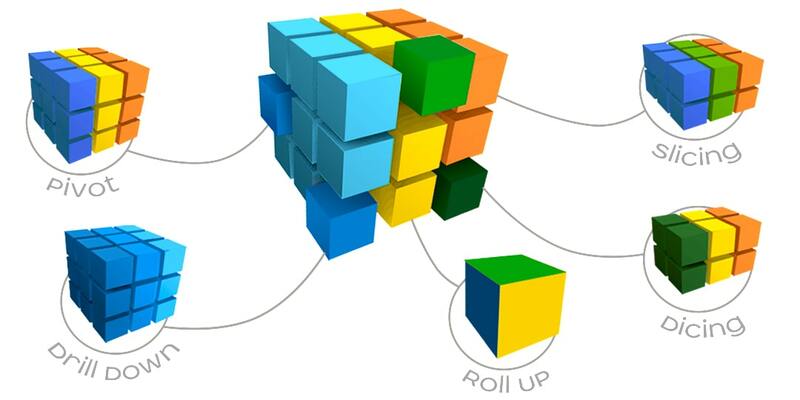 OLAP enhances organization’s productivity overall; data mining suits those who need to know their further perspectives. Plenty medium-sized businesses do not require data mining as they’ve just started their development. Moreover, data mining tools are designed for specialists with particular skills while OLAP is rather easily adopted and is often sufficient for those who need only reporting and multidimensional analysis. The target users of OLAP and data mining are different. If OLAP is designed for average employees, data mining is utilized by business statisticians and strategists possessing professional skills. Data mining is frequently utilized to explore knowledge data by allowing the algorithm to discover items and relations between them. Nevertheless, OLAP is apparently distributed more widely and is more preferable. In case the warehouse or the data mart in use is fresh and updated OLAP will probably exploit it as a database. Beforehand, the warehouse has to compile all required data from various sources and arrange it in unified formats for OLAP MDX queries. The queries are carried out in a data copy thereby the original warehouse won’t be damaged or altered. To summarize the whole information about such business intelligence tools as olap and data mining let’s look through the top 5 questions users ask about them. What is OLAP in data mining? As we mentioned previously OLAP and data mining are not synonyms and should be considered as two different technologies, However, relationship between OLAP and data mining exists and significantly ease some working processes. Such mechanism is called OLAP mining. It integrates OLAP with data mining, so mining analysis can be performed in different parts of the database or data warehousing and at different levels of abstraction at the user's fingertips..
How do data warehousing and OLAP relate to data mining? Data Warehousing is a kind of data collection that is used for organization’s decision-making process promotion. OLAP in its turn helps to extract required data from multiple database. Data mining implies exploring patterns and methods including the practice of machine learning and database system. But in fact all these processes: Data Warehousing, OLAP and Data mining are aimed at decision-making process support. What are OLAP operations in data mining? More information you can find in our article OLAP operations in Data Mining. What is the main difference between OLAP and data mining? The major difference between OLAP and data mining lies in their aim. In other words they solve different analytic problems. OLAP makes forecasting and data summarization. Data mining, in its turn, discovers hidden patterns in data. What types of OLAP servers in data mining do exist? For more information refer to OLAP Basics article. OLAP and data mining tools can be utilized separately and while being reconciled regarding the user’s requirements. Although when integrated data extraction and mining processes run more fast and efficiently.